April 13, 2018 – You might be surprised to see how low the Rio Grande is through Albuquerque right now. 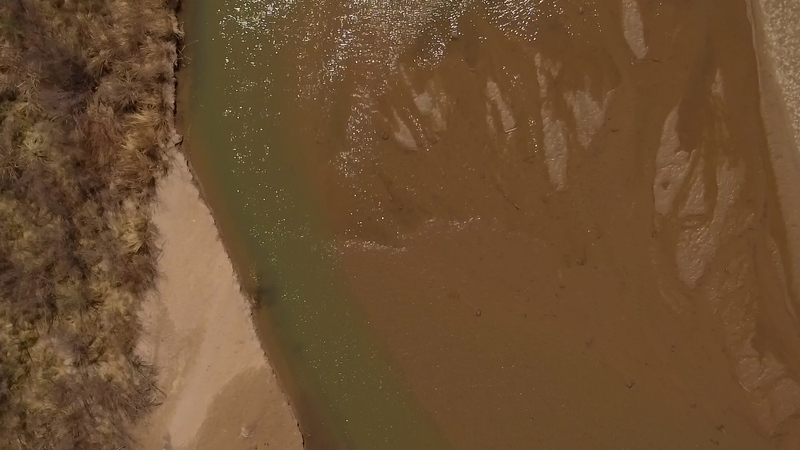 The river has already dried for more than ten miles south of Socorro, and it’s running low in northern New Mexico as it runs through the Taos Gorge and alongside towns like Pilar. But scientists aren’t necessarily surprised. Many have been researching how climate change will affect both surface and ground water supplies in the southwestern United States. In a new paper from University of New Mexico graduate Shaleene Chavarria and UNM’s Earth and Planetary Sciences Professor David Gutzler, the two show how warming is affecting snowpack and streamflows. New Mexico in Focus has been covering record-low snowpack this year on Our Land, our monthly environmental series on environmental issues. And this week we look at what’s happening now that snowmelt is not refilling the river—and what new research tells us about where we are headed. Keep up with our coverage on the Our Land Facebook page.